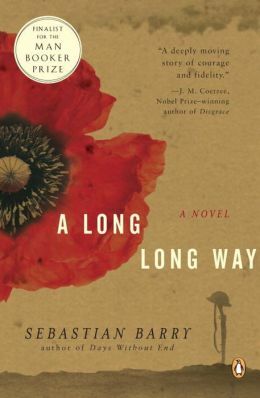 Today I'm featuring the opening paragraphs from A Long Long Way by Sebastian Barry, which I borrowed from the library, and am reading for one of my book clubs. It was the withering end of 1896. He was called William after the long-dead Orange King, because his father took an interest in such distant matters. On top of that, an old great-uncle, William Cullen, was yet living in Wicklow, across the mountains as they used to say, where his father himself had been reared. This new-to-me Irish author recently came to my attention. After reading the opening paragraphs, I want to know more about the narrator and the family. First Chapter ~ First Paragraph #53 was originally published by Catherine for bookclublibrarian.com. This post cannot be republished without attribution.